Fee: $60/ $55 members of Lynden or the Milwaukee Bonsai Society. This is the price for an adult/child pair, and includes one tree to take home. Children should be in grades 1-5. Registration: Space is limited, advance registration required. Online registration is closed. To register by phone, call 414-446-8794. 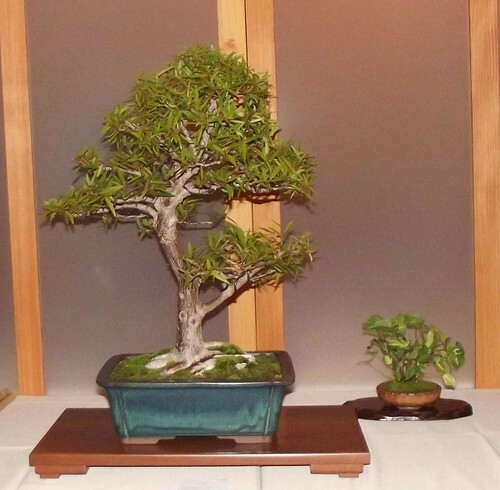 At Lynden, we think of bonsai as one of the most intriguing intersections of art and nature. This is why we have previously joined with the Milwaukee Bonsai Society to host some of their exhibitions and informal showings of bonsai. We are delighted to be able to offer a series of hands-on workshops that will introduce children and teens to the art of bonsai. A bonsai is a living sculpture, changing from day to day, season to season, and year to year. Creating and caring for a bonsai combines the principles of design with the science of horticulture; it develops an appreciation for the world of trees and the world of three-dimensional artmaking. In this hands-on workshop, you and your child will learn the basic principals and techniques of bonsai design, creating your very own bonsai from tropical material and transplanting it into a ceramic bonsai container.